Almost a decade ago, Samuel L. Jackson and John Cusack teamed for an adaptation of 1408, the psychological thriller based on Stephen King’s short story of the same name. Fast forward to the here and now and both actors are attached to another rendition of a King novel in Cell. Lifted from the author’s eponymous 2006 book, Cell is proof that the horror maestro can spin out a terrifying tale from just about any premise – no matter how absurd it sounds on paper. Forget psychotic clowns and mind-bending westerns, Stephen King’s Cell imagines a scenario where a rogue mobile signal transforms everyday folk into rabid, insatiable killers. Featuring a screenplay penned by the author himself – with a handful of revisions by Adam Alleca – Cell opens at Boston airport, placing Cusack in the shoes of Clay, an Average Joe who goes on to cross paths with Jackson’s gruff train driver. Stephen King’s best-selling novel is brought to terrifying life in this mind-blowing thriller starring John Cusack and Samuel L. Jackson. At the Boston airport, Clay (Cusack) witnesses a scene of chaotic mayhem when an electronic signal turns hundreds of cell phone users into rabid killers. Desperate to find his estranged wife and son, Clay teams with a train driver (Jackson) to battle the horde of murderous “phoners” as the city descends into apocalyptic madness. 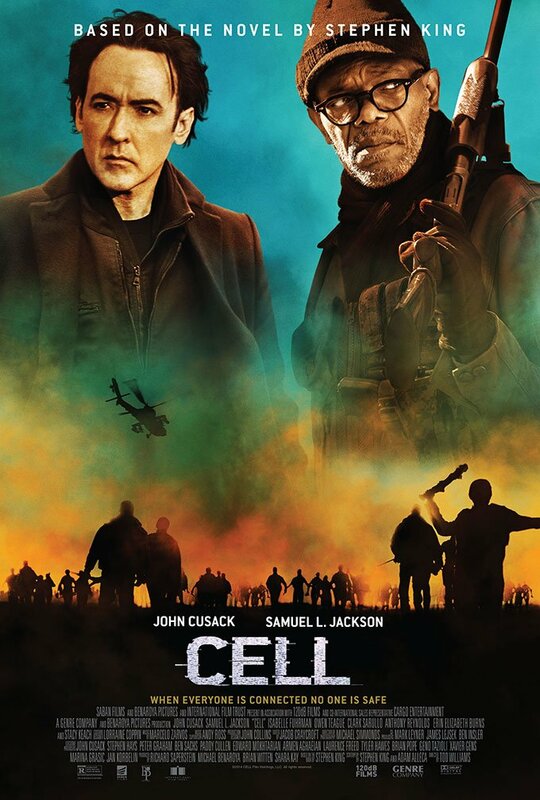 Cell is expected to make its debut via Ultra VOD on June 10, before expanding to a limited theatrical run and regular VOD on July 8.